He first came to Indonesia in September 1997 for his dissertation on Indonesian pop culture. He was warned that Indonesian artists would not want to speak about politics, prior to his presence. But in that year, the upheaval that took place in Indonesia led him to a vortex of meetings between pop culture and politics. While in Indonesia, Jeremy was exposed to dangdut music in its optimism era and also music movements organized by students, along with young guys starting punk and metal scenes. The book has documented that era through careful observations, which combine thorough research with in-depth insight not limited to pop music, delving deep into underground music as well. 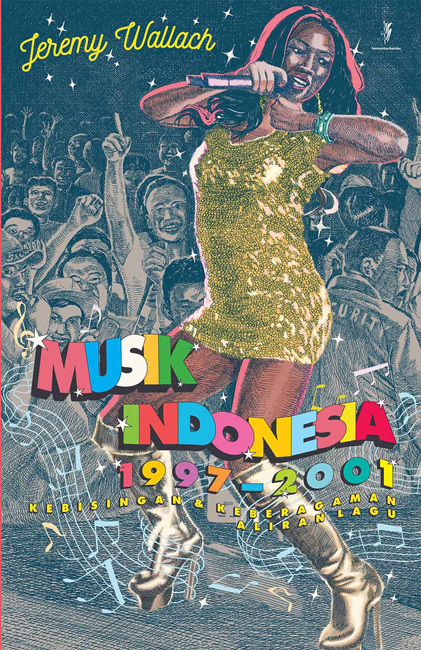 The book Musik Indonesia 1997-2001: Kebisingan & Keberagaman can now be purchased online via Komunitas Bambu's website.